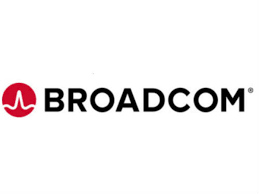 MEV are technology partners with Broadcom, a major worldwide supplier of PCI Bridge chips. Over the years, we have developed a strong relationship with Broadcom who provide excellent technical support via their field application engineers. Because of this and the extensive experience MEV has gained in implementing PCI solutions using Broadcom bridge chips, MEV were asked to design and develop Broadcom's PCI 9052 RDK Lite product. For designers looking for a simple and painless way to convert their ISA adapters to PCI, Broadcom offers its PCI 9052 RDK-LITE. In addition to supporting the PCI 9052, the PCI 9052 RDK-LITE can be used as a software development platform for the PCI 9050. For information about the PCI 9052 visit Broadcom's PCI 9052 page.